Jules Jackson is a multifaceted jazz musician: bass player (upright and electric), drummer, keyboardist, composer, arranger and sound engineer. He has been nurturing young NYOS jazz musicians since 2009. 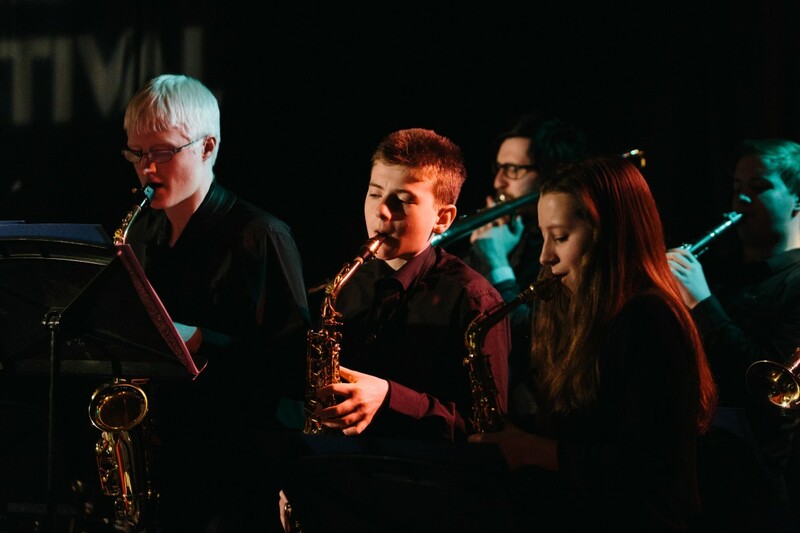 Emerging jazz instrumentalists and vocalists in NYOS Jazz Access enjoy opportunities to learn more intricate voicings and chord progressions. With a focus on expanding their jazz language through listening, transcription and theory, they develop and refine their improvisation skills. NYOS Jazz Access presents Rush Hour Jazz in a place where the rush hour consists of the 20 vehicles recently disembarked from the Mallaig to Armadale ferry. The performers display versatility of style and soloing, equally comfortable in small combos as in a big band. Sit back and enjoy familiar standards and new arrangements – there will be something for everyone! MULTI-EVENT DISCOUNT: Buy tickets for both the 6.30pm and 8.30pm NYOS concerts and get £2 off.